Cid Style File: Getting Techy! Saturday was a happy day! I ventured early in the morning to the Apple store to get my iphone 4! I already had a iphone3, but it was starting to fail. No blogger should be without a smart phone. It's essential to have the right technology for blogging and keeping up with social media. I plan to use the iphone4 for pictures and videos for the blog. It's just part of how to live like glamorous blogger! LOL Now I am set with my laptop, dslr, point & shoot digital camera with hd video and the iphone 4! Blog world here I come to take you over! ha ha ha OK so maybe I am being a little dramatic. I'm just a nerdy girl who loves technology as much as fashion! So why not combine the both and be a fashionable, nerdy blogger! 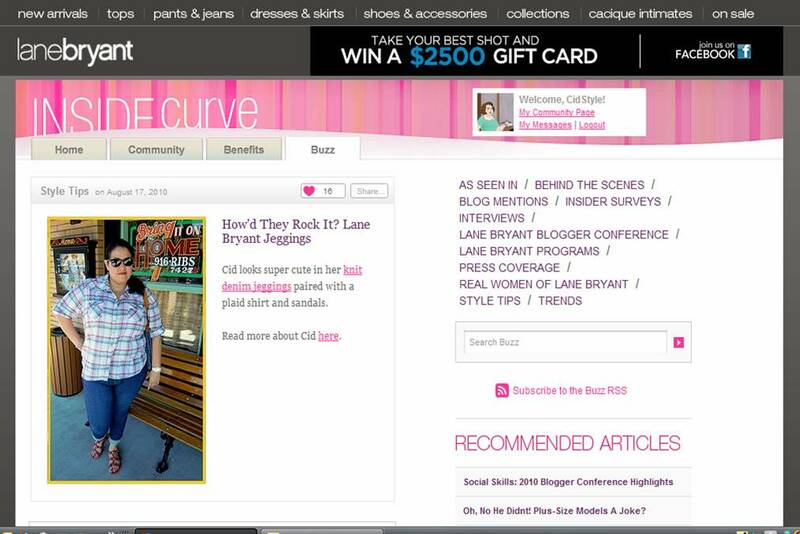 By the way last week I was happily surprised to discover I was featured on Lane Bryant's Inside Curve website. If you have chance check it out and leave a comment. Show some love for Cid Style File! Congrats! once you go iphone you will never go back. it is seriously like having a miniature lap top with you at all times. That's really great. I've been planning to get the new iphone but never got to it. I want it so badly...think I'll buy it tomorrow thanks to your video. Yeaa for "fashionable techi bloggers" You Rock! I saw your feature and it was cute.